Driven by curiosity, wanderlust, and health crises David Downie and his wife set out from Paris to walk across France to the Pyrenees. Starting on the Rue Saint-Jacques then trekking 750 miles south to Roncesvalles, Spain, their eccentric route takes 72 days on Roman roads and pilgrimage paths--a 1,100-year-old network of trails leading to the sanctuary of Saint James the Greater. It is best known as El Camino de Santiago de Compostela--"The Way" for short. The object of any pilgrimage is an inward journey manifested in a long, reflective walk. For Downie, the inward journey met the outer one: a combination of self-discovery and physical regeneration. More than 200,000 pilgrims take the highly commercialized Spanish route annually, but few cross France. 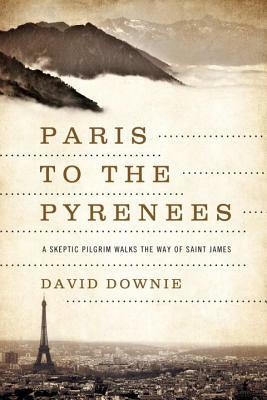 Downie had a goal: to go from Paris to the Pyrenees on age-old trails, making the pilgrimage in his own maverick way. 32 pages of color photographs by Alison Harris.